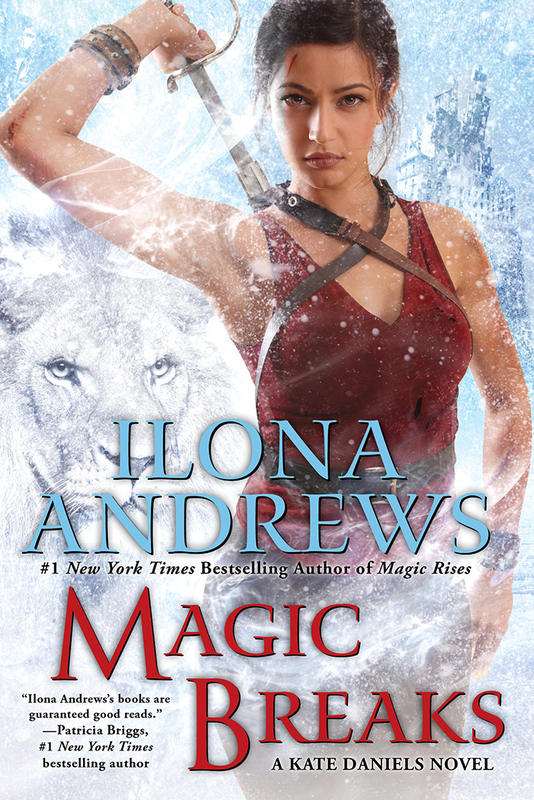 Earlier this week, fans of the Kate Daniels series were treated to a look at the cover for next summer’s Magic Breaks. In case you didn’t see it… I’ve included the gorgeous cover in all of its glory. Personally, I think its the best Kate cover yet, and it is visually stunning. The exclusive look at this cover, along with a few other big cover reveals we’ve seen over the past year, got me wondering: how relevant are big production cover reveals in the digital age? While some books are still going with covers that are big and beautiful (and sometimes with large fanfare over the first peek), others are more modest to nonexistent. In addition, I’ve noticed that digital-only releases, which historically had simple covers, are more and more frequently getting cover art that is designed specifically for ebooks. However, with ebooks, one very rarely looks at the cover. When I download a book to my Kindle, typically the book opens at the table of contents or the start of the first chapter. If I want to see the cover, I have to back-page. Sometimes it’s not even there. I can see the benefits for sales of having an eye-catching cover. Whether one purchases a physical book from a store or shops the shelves of an online retailer, most people still judge a book by its cover. Even if a reader never looks at the cover once its downloaded, they may have purchased it because of the cover viewed online. So what about you? Do you judge a book by its cover – even if you purchase an ebook? What do you think about big production cover reveals? Does it make you want to buy a book more, less, or it makes no difference? Any other comments about book covers? I love my Paperwhite, but I miss seeing the pretty, full-color covers. I find I still stop first on covers when I browse on Amazon, but that is mostly when I do not know the author. If I know the author, then cover doesn’t matter. What bothers me with some covers us how obvious some public model images are. I will see the same male model pose on 5 books in one month! I agree, if I don’t know the author, a cover can tip the balance in their favor. But if it’s a series I love, I’ll read it no matter what’s on the cover. I do the Kate serious on audio but when I was at RT back in May I bought the 1st book with the new cover just to get it signed. And this cover is so pretty that I might buy a physical copy along with my audio just to have it on my shelf. Covers still carry a lot of weight with me. Even when I’m browsing online, cover appeal is what makes me click on an image to see what the book’s about. Also, is it me, or is the book industry trending away from the black background? I agree, covers do make an impression. I get frustrated when the cover has nothing to do with the story or characters. LOL! Great attitude. I do have a couple really pretty cover flats hanging in my office too!